The bad, negative is to be avoided, for it brings pain. But no one is born without pain, and despite the torment, what comes next is usually bliss. Think about a couple that argues. Some people do it just because making up later brings them joy. Now, if you try to broaden the perspective, sometimes nations start wars because they want the bliss after the pain: in this case, victory! It took great pain for a jewel of Britain to be born. And this pain is known in history as the War of the Spanish Succession. By defeating the French army in the Battle of Blenheim in the early 18th Century, the military commander of the British forces gained the Queen’s respect. 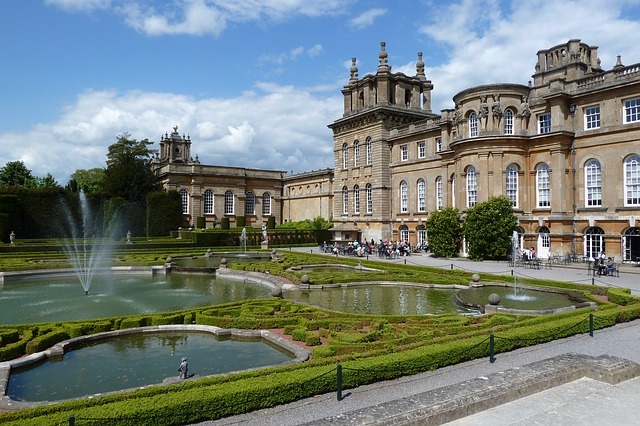 Thus, the heroic deeds of the 1st Duke of Marlborough, John Churchill, were honoured by building for him Blenheim Palace on the land of the ruined Royal Manor and Park at Woodstock. The architect who laid the foundations of what is today an exquisite site was Sir John Vanbrugh. Throughout time, the surroundings of the palace have been embellished by several architects, who have sown their seeds of creation, shaping true pieces of art. So it is that in the northern part of the Park, the Column of Victory depicts the 1st Duke of Marlborough dressed as a Roman general. 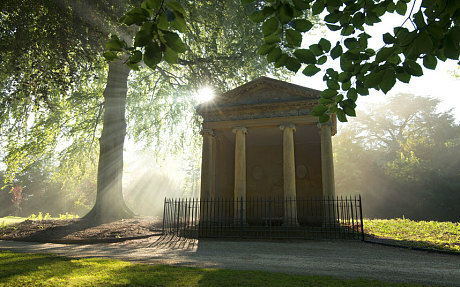 Another architect, William Chambers, built the Temple of Diana, which was intended to be a small summer house. Winston Curchill, who was also born at Blenheim Palace on the 30th of November 1874, proposed to Clementine Hozier in 1098 at this very Temple. 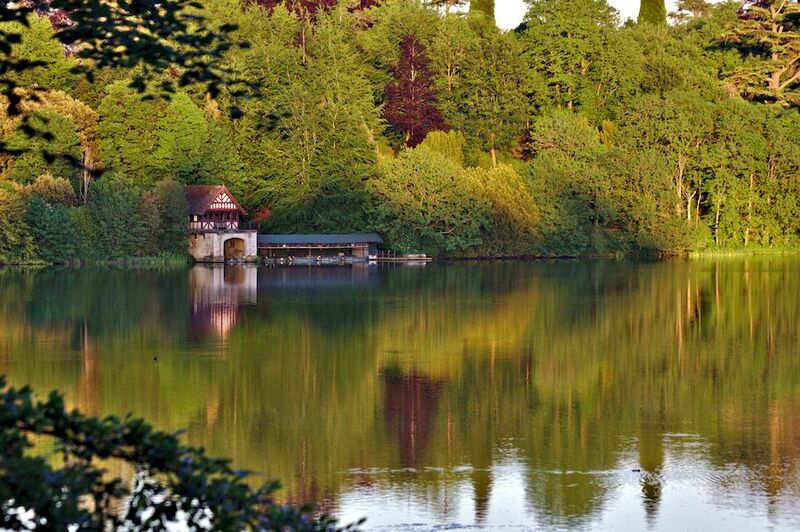 Furthermore, about 2000 acres of surrounding Parkland have been re-landscaped by the landscape architect Lancelot ‘Capability’ Brown, who took ten years to create “the finest view in England”, as Randolph Churchill once said. A new symbol of the bliss that comes after pain is the Temple of Health, which was designed in 1789 by John Yenn, to celebrate George III’s recovery from illness. The year 1888 came with a present for the 8th generation of Dukes of Marlborough, who had architects build for them the Boat House. Three years later was built the Willis Organ which could be admired in the Long Library ever since. The next generation of Marlboroughs came up with new preferences, commissioning the landscape architect Achille Duchene to restore the three-acre Great Court from grass to cobbles and gravel, and ordering an Italian Garden in the East front of the Palace to be created. The 9th Duke also commissioned Achille Duchene to build the Water Terraces in 1925-1930. Apart from the marks left by the Marlboroughs during the decades, Blenheim Palace is very well anchored in history for having taken under its protective walls people who were in need during harsh times. In 1914, this monumental country house, which is one of the biggest in England, became for the first time a convalescence hospital for soldiers wounded in WWI. WWII also left a page of historical memories to strengthen the identity of the Palace, for in 1939-1940 over 400 Malvern College boys were evacuated here. It is on the 1st of April 1950 that the doors of Blenheim Palace were for the first time opened to the general public. On 1987, it was made a UNESCO World Heritage Site. Nowadays, the magnificent Palace is still open to the public. Being over 300 years old, it needs constant restoration, which is why the tickets sold to those who wish to visit this place bring a vital contribution to the ongoing restoration process, which consists in constant careful projects. However, if you imagine that the Palace is in poor conditions, which makes the price of the ticket be sort of a kind donation from the goodness of your heart, you couldn’t be more wrong. It is an infinite privilege to visit what is fair to be called “Britain’s Greatest Palace”. Apart from its incredible beauty which is successfully emphasised by “Daily Specialist Tours of the Palace” and art exhibitions, the public can choose from a large range of exquisite events. Blenheim Palace provides a programme of delightful live music performances, from organ recitals to jazz bands and choir performances, on selected dates. Everyone can indulge in a Festive Afternoon Tea or Dine in the Orangery. Private events are also hosted at the Palace, providing a wonderful range of packages and venues to enhance any occasion. Not the least, perhaps it did not cross your mind, but it certainly crossed theirs, this is the perfect place to get married. Hence, an experienced Events Team is always willing to help with weddings, however small or grand they will be. 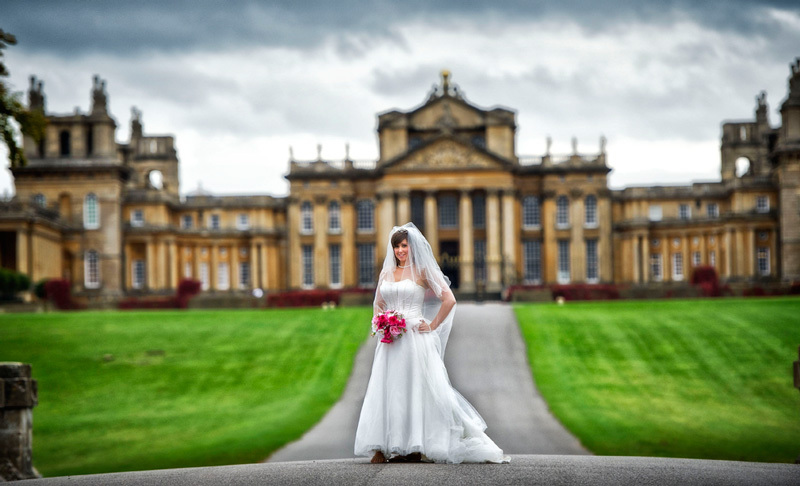 No need to say more, for the greatness of Blenheim Palace can hardly be put into words. Not even photographs can capture such a beauty; it is for the eye to behold this treasure, and for the heart to be awed by it.